The Magpul PMAG 40 Gen M3 AR-15 Magazine reflects five years of research and development to advance the already proven PMAG design. 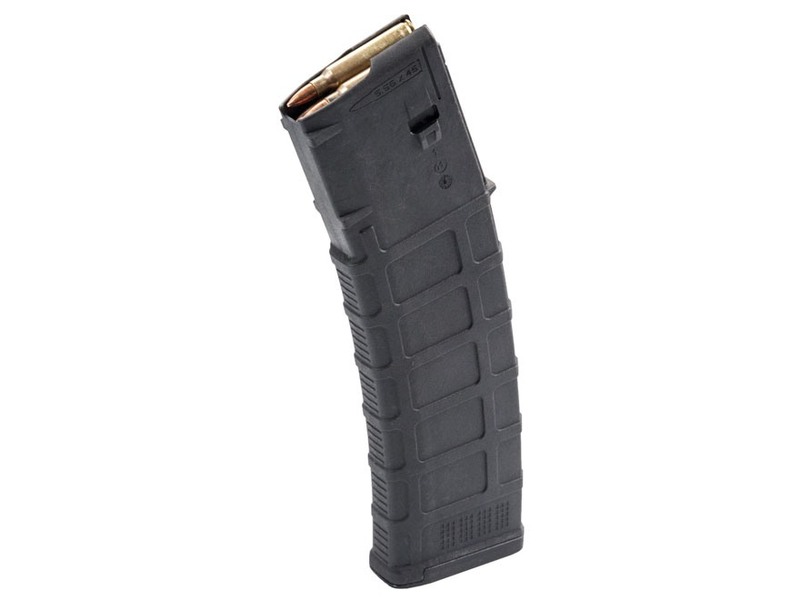 Improved materials and manufacturing methods have made the PMAG M3 magazine perform to a higher standard in all tests: durability, impact strength, chemical resistance, and exposure to extreme temperatures. Internally, a new low friction, 4-way anti-tilt follower and enhanced constant curve geometry further increase feeding reliability in adverse conditions. 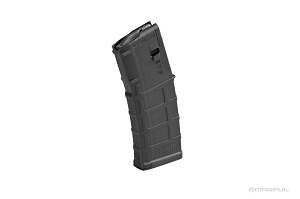 Externally, the M3 PMAG has been significantly strengthened in the feed lip and spine areas to better withstand direct impacts when loaded to full capacity. 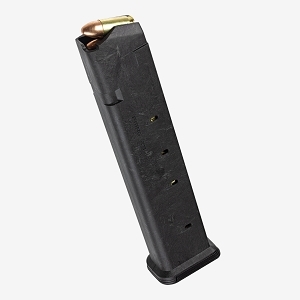 The new Gen M3 has also been engineered to be compatible with a wider variety of magazine pouches via a smaller profile floorplate (which also boasts improved drainage capability) and lower profile ribs on either side of the magazine's body. These "smoother" side ribs are complemented by the addition of horizontal grooves molded into the front- and back-straps of the body to ensure a positive grip in all conditions. 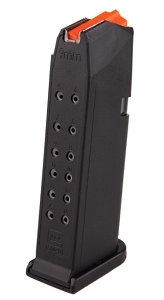 The integration of eight dot-matrix panels (four on each side) enables the shooter to positively mark and identify magazines in a clear and abrasion-resistant way. 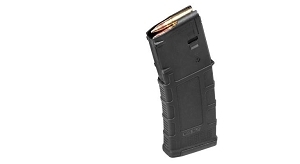 The PMAG 40 Gen M3 incorporates additional external improvements to the magazine catch and bolt catch notch areas that have expanded its firearm compatibility to include more than the AR-15 platform alone. It is also fully functional with the FN SCAR-16, the British SA-80, and the HK416/IAR/M27 platforms. 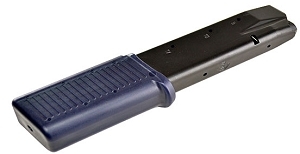 The drop-free characteristics of the PMAG were also improved to ensure compatibility with a wider range of magazine wells, including those with tighter tolerances than mil-spec. Made in the USA.